Good to use when knitting or weaving baby products or garments worn next to your skin. 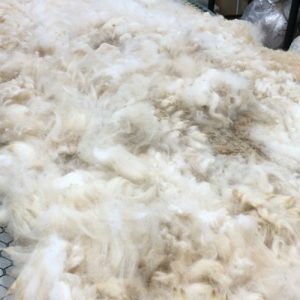 Alpaca fleece is the natural fiber harvested from an alpaca. It is light or heavy in weight, depending on how it is spun. 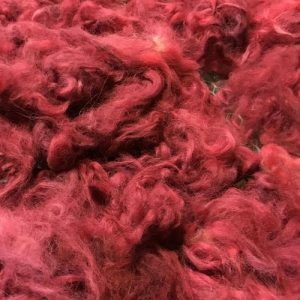 It is a soft, durable, luxurious and silky natural fiber. 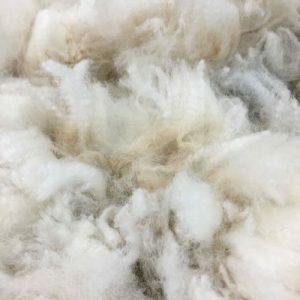 While similar to sheep’s wool, it is warmer, not prickly, and has no lanolin, which makes it hypoallergenic. 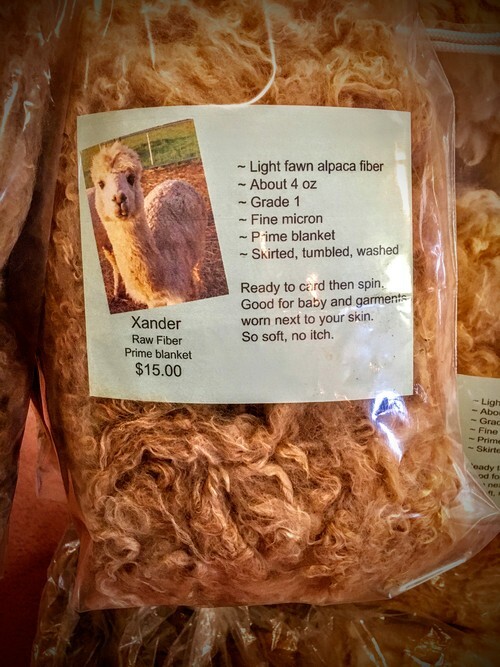 *Alpaca is naturally water-repellent and difficult to ignite. naturally elastic yarn well-suited for knitting. *Suri has no crimp and thus is a better fit for woven goods. 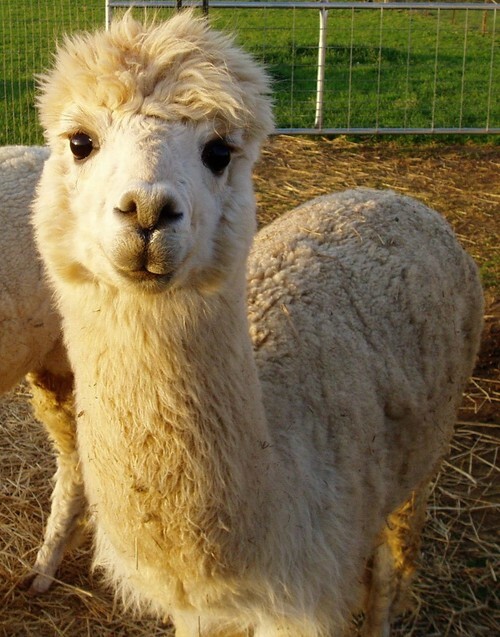 *The designer Armani has used Suri alpaca to fashion men’s and women’s suits. 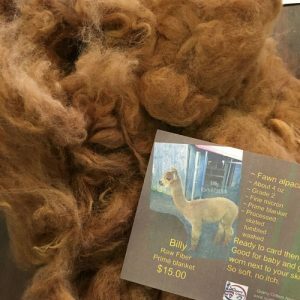 “fiber co-ops,” to make the manufacture of alpaca fiber products less expensive. 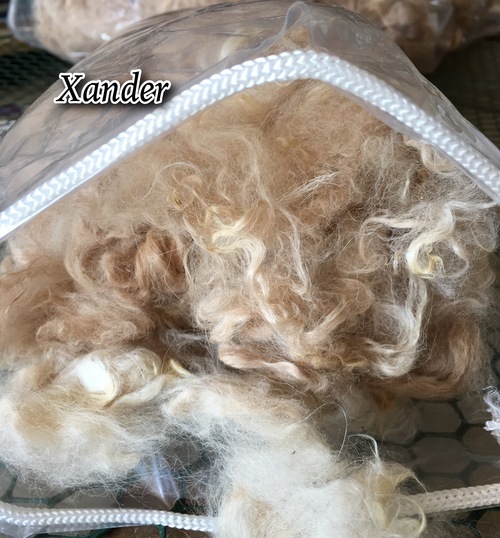 Light Fawn Alpaca Fiber from Xander alpaca, living at QCAR. 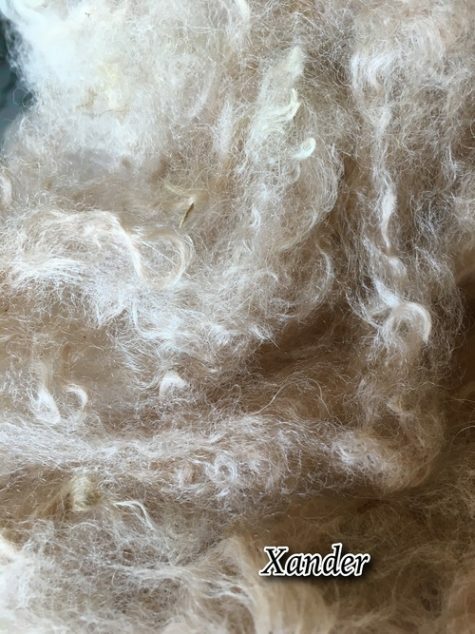 Hand processed at Quarry Critters Alpaca Ranch by Julie Wysong. Processing preformed: skirted, tumbled, and washed.